Discover all that Hanoi has to offer with Cherry Hotel 2 as a base. 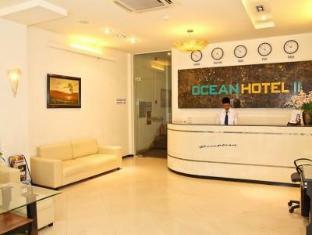 This 3-star hotel offers 20 guestrooms, each presenting guests with all the comforts expected from a hotel in its class. In-room facilities include non smoking rooms, air conditioning, daily newspaper, hair dryer, internet access (wireless), internet access, bathtub, shower. Guests can experience the high standards of comfort while staying at this luxury Hanoi hotel with everything they need right on the site such as 24hr room service, elevator, laundry service/dry cleaning, room service, Wi-Fi in public areas. For guests to unwind, The Cherry Hotel 2 offers a variety of facilities and services including massage. These top-class facilities are complemented to excellent services to meet the needs of visitors to Hanoi. To book a room easily at the Cherry Hotel 2, please submit your travel dates and proceed with our secure online reservation form.